UberEats, the food delivery app launched in July of last year by the makers of ride-sharing app Uber, is aiming to expand to cover an additional 40+ towns and cities across the UK by the end of this year. The expansion is part of increased efforts on the company’s part to compete with competition from the likes of Deliveroo and JustEat. 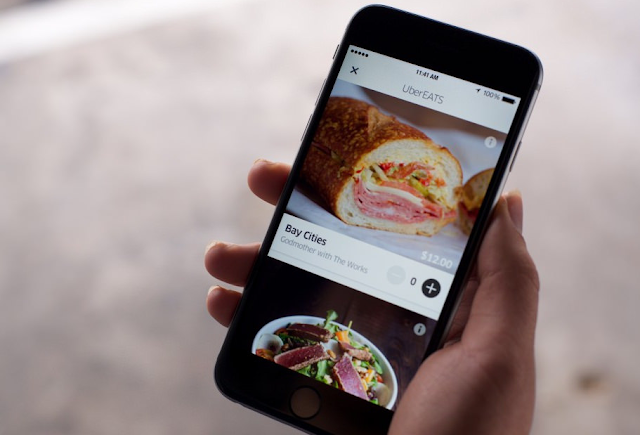 The UberEats app, which is currently available in London, Manchester and Birmingham, has been downloaded by more than 1 million customers since launch, according to Uber. With their ride-sharing app currently available to approximately 55% of the UK population, the company are now hoping to replicate that success with their takeaway app. Jambu Palaniappan, regional manager for Europe, Middle East and Africa at UberEats, said of the planned expansion, “It’s clear from the response we’ve seen in London, Manchester and Birmingham that there’s huge appetite from people to order food at the touch of a button from their favourite local restaurants. UberEats has now partnered with over 2,000 restaurants throughout the UK, but still faces heavy competition from its more established rivals. If the planned expansion goes as planned, making the app much more widely available, then it may just give the industry leaders something to worry about.